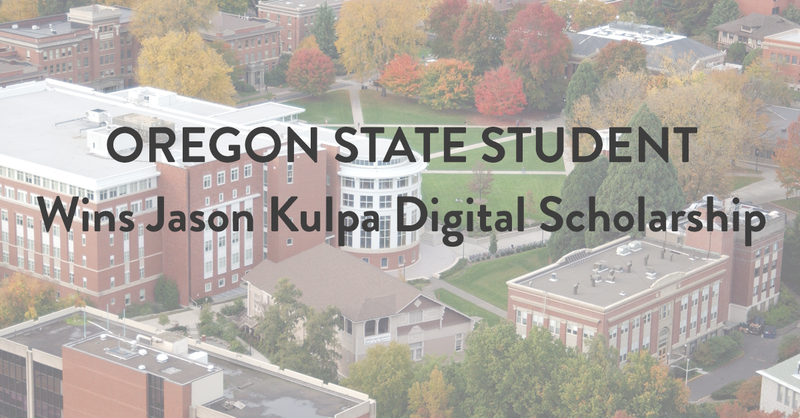 UE.co CEO, Jason Kulpa, announces the winner of Jason Kulpa Digital Scholarship is from Oregon State University. SAN DIEGO, September 13, 2018 – Jason Kulpa, Founder, and CEO of UE.co, is pleased to announce the winner of The Jason Kulpa Digital Scholarship. This year’s winner is Lucas Garvey, a student at Oregon State University. Garvey, beginning his Freshman Year at Oregon State University, credits his family for inspiring him to continue to utilize digital media to help others. He attends Oregon State University with the intent of earning a Bachelor's Degree in Engineering. I wish him the best of luck with the rest of his collegiate career at Oregon State and look forward to seeing his impact both digitally and through his work in his community. To see more of Jason Kulpa's Scholarships, visit www.jasonkulpascholarship.com.